I am so excited to share today’s recipe with you. Not only is it one of my favorite recipes in the world, but it’s also one that my mom made up completely on her own. 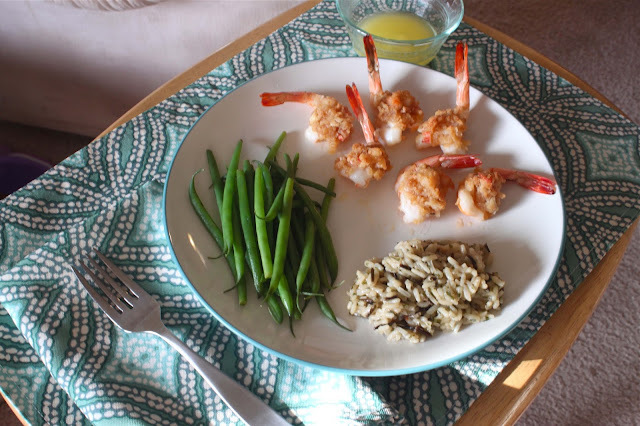 We’ve had these baked stuffed shrimp for Christmas, New Year’s, my birthday – basically any holiday where I get to choose the main dish. When I asked my mom for this recipe a couple of weeks ago so that Mike and I could make it for one of our Sunday feasts, she literally sent me a list of ingredients with very approximate measurements (“a handful,” “some,” and “however much you want”). I’d have to say, ours turned out very well, and I can’t wait to make ours for my mom when she comes to visit next month! 2. In a medium pot, melt the butter on medium heat. 3. Peel, vein, and butterfly 1 pound of the shrimp, leaving just the tails on. 4. Peel, vein, and dice ¼ pound of the shrimp. 5. 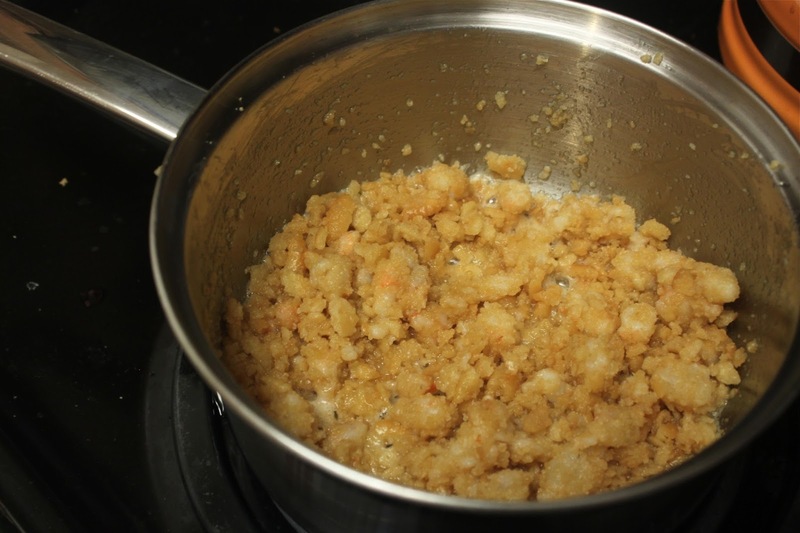 Add the diced shrimp and crushed Ritz crackers to the melted butter on the stove. Cook for about 5 minutes, until shrimp starts to turn pink. 6. Remove the stuffing from the heat and add in the diced imitation crab. 7. 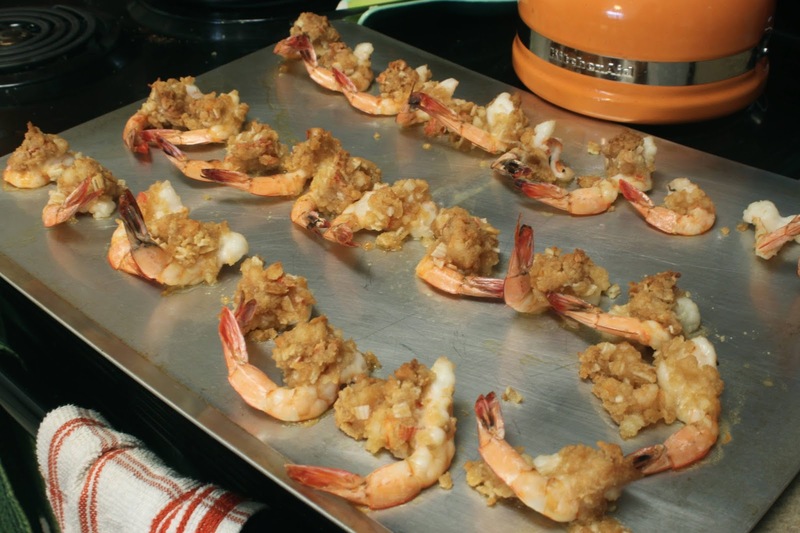 Arrange butterflied shrimp on a greased sheet pan, and scoop about 1 tablespoon of stuffing onto each of the butterflied shrimp. 8. Bake for 15 minutes, until shrimp are pink. 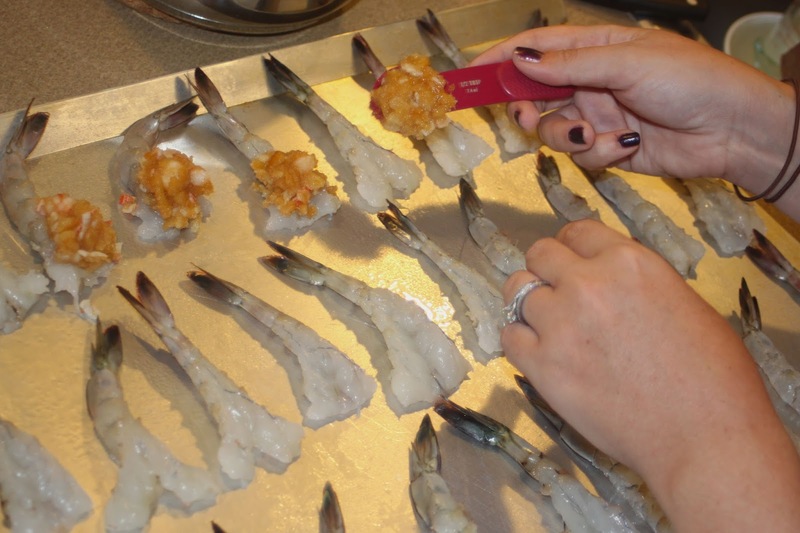 It took me about 15 minutes to peel and vein the shrimp and 45 minutes from the start to the end of cooking. What a great way to change up shrimp a little bit! And recipes from mom are always the best. Sadly, I'm not a seafood fan otherwise I'm pretty sure I'd be all over this! It looks amazing! And that rice looks super yummy too! This looks INCREDIBLE!! Definitely need to try this sometime! 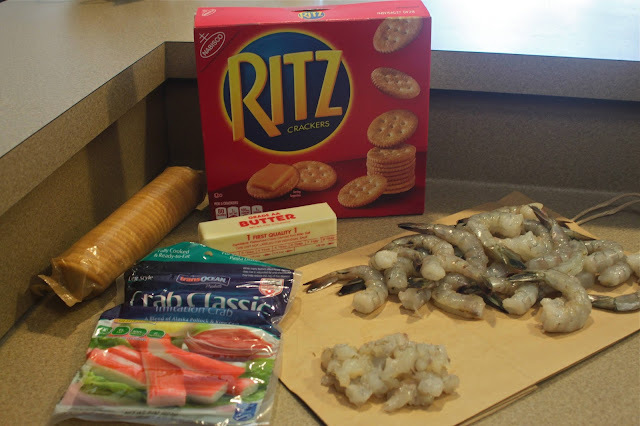 I'm on a mission to learn how to make some good shrimp. This looks amazing to try! Oh how I love shrimp, this sounds amazing! This looks delicious and easy to make - but I love how fancy it looks! Mmmmm! We've been really into cooking seafood at home recently and this looks like a must try! Absolutely delicious!! 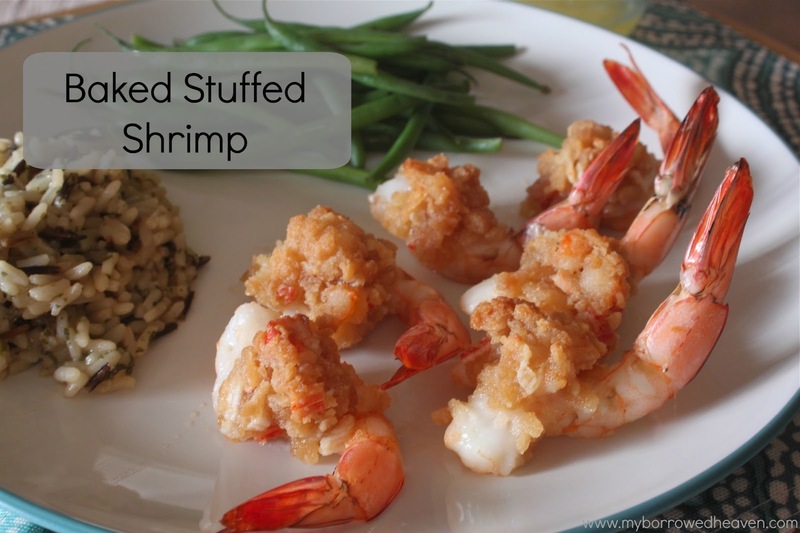 Who doesn't love a good stuffed shrimp?! I would absolutely try this! We love shrimp here!! Thanks for the new idea!! What a great idea! Never had stuffed shrimp before! Looks amazing! this is seriously amazing and looks SO good! and I cannot believe your mama just made it up! can she come make up dinner for me every night?? haha seriously YUM! I am not a big shrimp fan, but my fiance is and I bet he would LOVE these! WOW, what a great recipe! My boys would love this! Thank you so much for sharing with us at Delicious Dish Tuesday! Hope to see you again this week with another fabulous recipe!